Before I shutdown my PC and start with celebrating the x-mas weekend, a very nice picture report by Jean-Michel, owner of http://www.speedmaster-mission.net, http://www.navitimer.net and Lemania5100.net is definately worth checking out. Jean-Michel is a Speedmaster and Navitimer enthusiast and it shows!! Go to the http://www.speedmaster-mission.net site and click ‘Museum’! 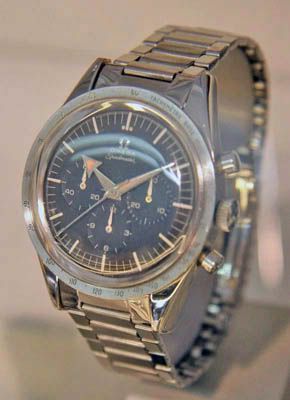 The first Speedmaster model, dating 1957.